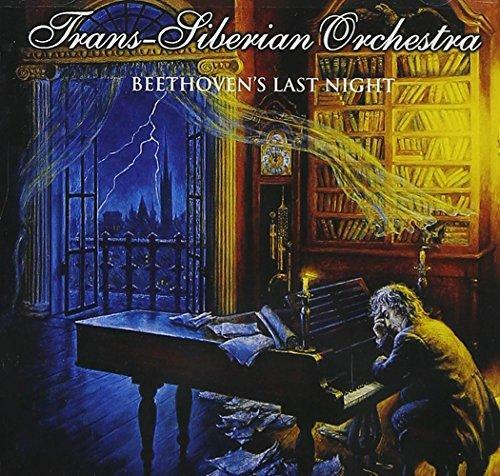 Trans-Siberian Orchestra - "Beethoven‘s Last Night"
Bringing you into the right mood for this incredible event, BMG Rights is going to release Trans-Siberian Orchestra’s album „Beethoven´s Last Night“ on 15th October 2010 as digipack-CD and LP with a new cover and a booklet with 44 pages. Established in 1996 by producer/composer/lyricist Paul O’Neill, Trans-Siberian Orchestrahas been inspiring generations of fans to rediscover the multi-dimensional art form of the rock opera. Trans-Siberian Orchestra is music for fans of Rock, Opera, Broadway, classical enthusiasts, or someone who just enjoys a great story – TSO has the unique ability to bring together fans from multiple generations. With top-notch musicians and a visual spectacular Trans-Siberian Orchestra looks forward to bringing their rock theatre to Europe in 2011.